The BC-510 Combines accuracy and design for the most demanding programs. Large Scale Platform and 7” Color Touch Display are the highlights of this award winning body composition analyzer. 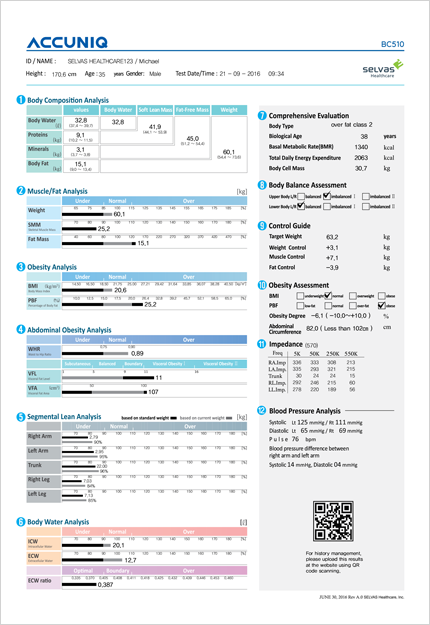 This is a measurement of analysis results of body components(e.g., body water, proteins, minerals and body fat) relative to normal ranges. This graph of the Skeletal Muscle Mass(SMM) and fat mass illustrates the proportion of skeletal muscle and body fat that comprise the total body weight. This graph of percentage of body fat(PBF) and body mass index(BMI), of which the latter is critical in assessing the prevalence of obesity, illustrates clinical data needed for obesity analysis. Fat in the body is divided into subcutaneous fat and visceral fat. 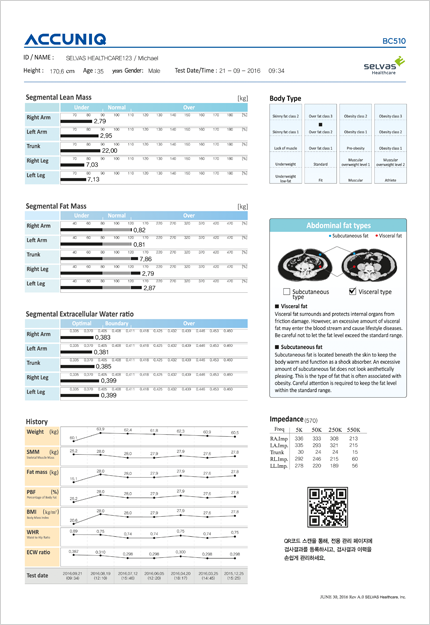 Visceral fat is closely connected with adult diseases, and measured based on several factors. Displays the results of SLM measurements as a graph. There are five body parts that include the left arm, right arm, left leg, right leg and trunk. This is a measure of the intracellular water, the extracellular water, and the extracellular water ratio. This item shows your body type, biological age, basal metabolic rate(BMR), total daily energy expenditure (TEE), and body cell mass. Assesses the lateral balance of the upper and lower bodies, and the vertical balance between the upper and lower bodies. This item presents your recommended target weight, weight, and muscle and fat mass control. 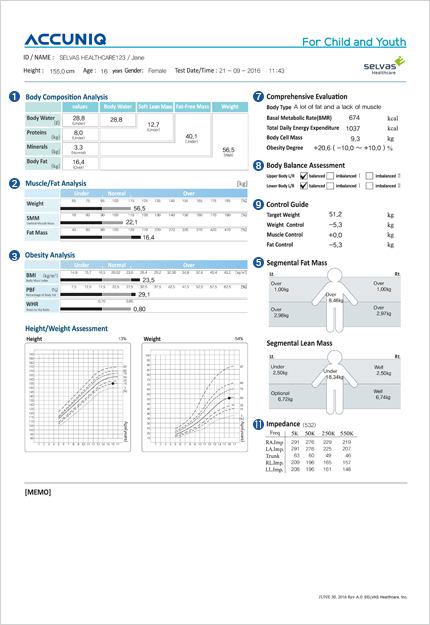 This item assesses your BMI, PBF and indicates your obesity degree and abdominal circumference. Impedance using frequency applied to a body part. Impedance is a resistance value when electric current is passed through the body. Each subject has a unique impedance. 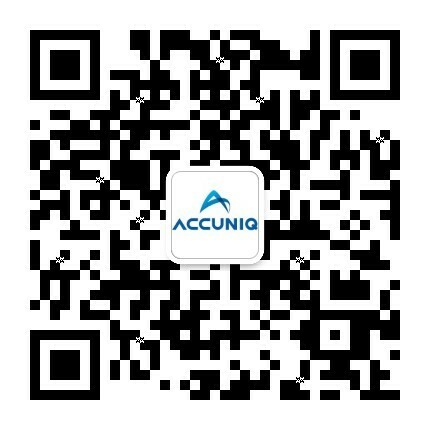 This item indicates your blood pressure data when the product is connected to the sphygmomanometer provided by ACCUNIQ. This is especially useful because it assesses your obesity level and blood pressure at the same time.